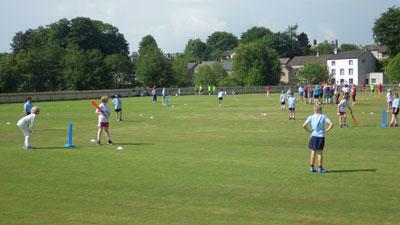 On Thursday 9th June, all our Y5 & 6s entered the Appleby Area cricket festival. 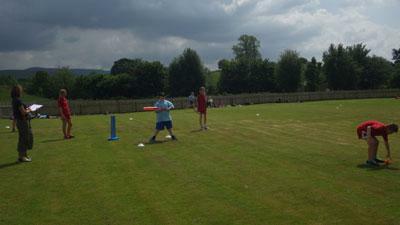 It took place at Kirkby Stephen Cricket ground because of the flooding at the Appleby pitch. Our first game was against Long Marton A team; unfortunately we lost but in our next two games against Kirkby B team and Crosby we won by three runs! They were close and exciting matches. 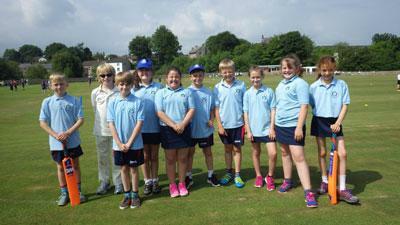 Oliver joined us for our picnic lunch and then we all played a friendly against Long Marton B team that we won. The weather was hot and sunny and we had a brilliant time.